The Republic of Côte d'Ivoire, commonly known in English as Ivory Coast, is a country in West Africa. and borders the countries of Liberia, Guinea, Mali, Burkina Faso and Ghana; its southern boundary is along the Gulf of Guinea. It has an area of 322,462 km2 (124,502 sq mi) and in 2009 the country's population was estimated to be 20,617,068. An 1843–1844 treaty made Côte d'Ivoire a "protectorate" of France and in 1893, it became a French colony. Côte d'Ivoire became independent on 7 August 1960. In 2008, 38.6% of Côte d'Ivoire was Muslim, followed by 32.8% Christian, 11.9% practicing indigenous religions and 16.7% with no religion. The Eglise Protestante Anabaptiste L'Institution Chrétienne (Protestant Anabaptist Church of Ivory Coast) was founded in 1994 with 200 members in 3 congregations by Raymond Affouka Eba, formerly a leader of the country's leading Baptist independent group. He gathered a group of believers who tried to live out a theology that included adult baptism, nonviolence, justice and the importance of community. Eba knew a little about the Anabaptists of the 16th century, but did not know any modern Anabaptists. A year after the Protestant Anabaptist Church of Ivory Coast was founded, Eba met James Krabill, a Mennonite mission worker who served two decades in Ivory Coast. Krabill helped Eba learn more about Anabaptist literature and current leaders, connecting with Mennonite World Conference and the global Anabaptist community for resourcing and relationships. "Background Material on Mennonite, Brethren in Christ and Related Churches in Africa and the Countries where they are Found." 2001? Web. 17 April 2011. http://www.mwc-cmm.org/MWC/Material/WFSbackground.pdf. Central Intelligence Agency. "Kenya." The World Factbook. Web. 14 April 2011. https://www.cia.gov/library/publications/the-world-factbook/geos/mi.html. Hollinger-Janzen, Lynda. "Worshipful Work Builds an Anabaptist Church." Mennonite Weekly Review (20 June 2005): http://www.mennoweekly.org/2005/6/20/worshipful-work-builds-anabaptist-church/. Mennonite World Conference. "2000 Africa Mennonite & Brethren in Christ Churches." Web. 7 March 2011. http://www.mwc-cmm.org/Directory/2000africa.html. Mennonite World Conference. "2003 Africa Mennonite & Brethren in Christ Churches." Web. 7 March 2011. http://www.mwc-cmm.org/Directory/2003africa.html. Mennonite World Conference. "Mennonite and Brethren in Christ Churches Worldwide, 2006: Africa." Web. 2 March 2011. http://www.mwc-cmm.org/Directory/2006africa.pdf. Mennonite World Conference. "Mennonite and Brethren in Christ Churches Worldwide, 2009: Africa." Web. 2 March 2011. http://www.mwc-cmm.org/en15/files/Members%202009/Africa%20Summary.doc. Mennonite World Conference. World Directory = Directorio mundial = Répertoire mondial 2012: Mennonite, Brethren in Christ and Related Churches = Iglesias Menonitas, de los Hermanos en Cristo y afines = Églises Mennonites, Frères en Christ et Apparentées. Kitchener, ON: Mennonite World Conference, 2012: 5. Wikipedia. "Côte d'Ivoire." Web. 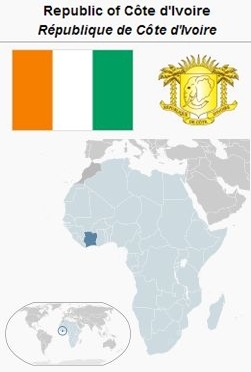 7 March 2011. http://en.wikipedia.org/wiki/C%C3%B4te_d%27Ivoire. Thiessen, Richard D. "Côte d'Ivoire." Global Anabaptist Mennonite Encyclopedia Online. March 2011. Web. 23 Apr 2019. http://gameo.org/index.php?title=C%C3%B4te_d%27Ivoire&oldid=121932. Thiessen, Richard D. (March 2011). Côte d'Ivoire. Global Anabaptist Mennonite Encyclopedia Online. Retrieved 23 April 2019, from http://gameo.org/index.php?title=C%C3%B4te_d%27Ivoire&oldid=121932. This page was last modified on 7 May 2014, at 05:52.